We would like to take this opportunity to invite you to accept our invitation to enroll in His Marvelous Light Ministries' FREE Bible Correspondence Study course. You may study your Bible in the convenience and quiet of your own home, and at your own pace. These lessons are not your usual "multiple choice" or "fill in the blank" studies. 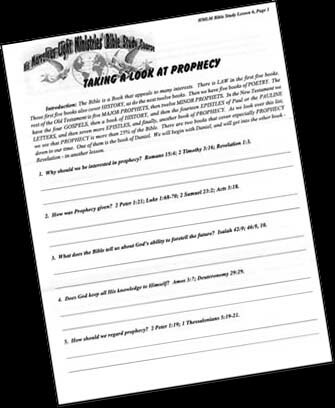 These studies are designed to make you dig into the Bible to find the answers by asking you a question from the Bible, and then providing you with one or more Bible texts where the answer may be found! By so doing, you will gain a knowledge of where each book of the Bible is located, and begin learning more than even the average clergyman knows! Many of the lessons contain pictures, tables, and charts to help you understand what is being taught in the lesson! Simply fill out the form below and e-mail it to us! We will immediately send your first lesson to you through the USPS (Sorry, we do not have the Bible studies in electronic form yet). When you complete the first lesson, mail it back to us using the included self-addressed envelope and we will mail you your next lesson along with the previous graded lesson. At the completion of this twenty-one lesson Bible study, you will have covered the Bible from Genesis to Revelation, and will have a better knowledge of the Scriptures than the average person or even most clergy! A beautiful certificate suitable for framing is issued at the completion of this course! 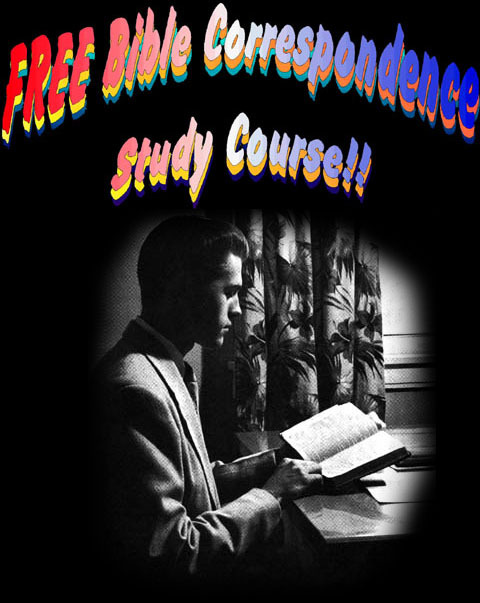 IF YOU WOULD LIKE TO ENROLL IN HIS MARVELOUS LIGHT MINISTRIES' ABSOLUTELY FREE BIBLE CORRESPONDENCE COURSE, PLEASE JUST FILL OUT THIS FORM. 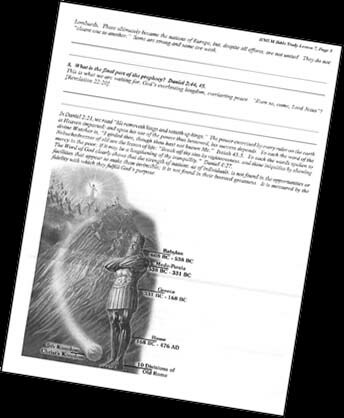 IF YOU EXPERIENCE PROBLEMS WITH THE FORM, PLEASE E-MAIL US YOUR NAME AND ADDRESS AT presenttruth4@hismarvelouslight.com, AND ASK FOR THE FREE BIBLE STUDY COURSE. YOUR FIRST LESSON WILL BE SENT THE SAME DAY! THERE IS NO FUTURE OBLIGATION!